They didn’t give me a single warning. I received an email, and it told me to call the number on the back of the card. I called and was told about these restrictions by answering machine. It also said, “You are no longer able to open a new card with us.” I don’t know if “a new card” meant a new Walmart MoneyCard or all of GD products. But, recently, I had a chance to get a new phone with a new number, I decided to apply for their products. First, I applied for GoBank. My name, address, and SSN is the same. I used a different email address. And, I tried to use a new mobile phone number, but they don’t recognize the number somehow (maybe because it’s too new?) So, I ended up using the same phone number that is attached to a dead WM moneycard. That’s to say, I used almost all the same information as I used for WM moneycard. However, I successfully opened up a GoBank account. GoBank has almost the same features as Walmart MoneyCard, but its monthly fee is expensive $8.95. It can be waived by making qualifying direct deposits totaling at least $500. But I’m not sure if transferring from my bank account or PayPal account is qualified for it. I will try one by one. If none of them are qualified, I will close the account because the fee is very expensive. Here are things I’ve done so far. I entered GoBank as an external account to my two bank accounts and PayPal account. They put trial deposits and those transactions are categorized as direct deposit. A question is “are they qualified for waiving a monthly fee?” I made $500 transfer from my bank account today. It will be answered in a month. And, it’s been a week, I haven’t received a personalized card yet. 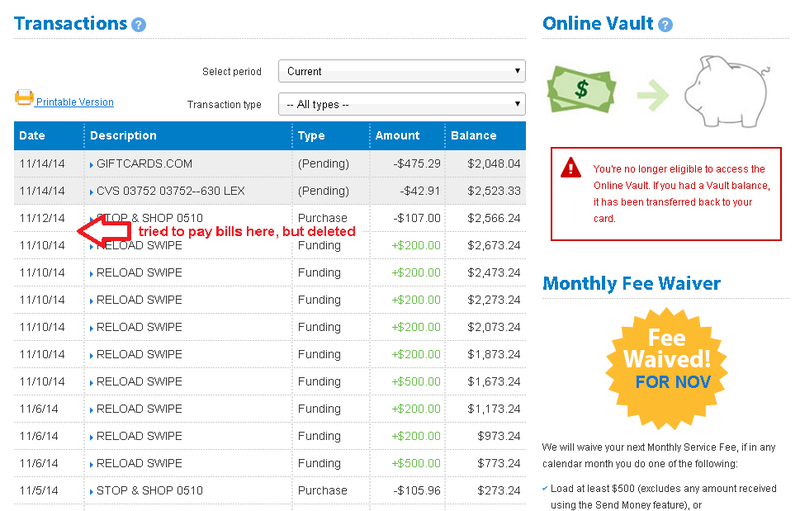 Update 12/5/2015, I checked transaction history and found that $8.95 membership fee was waived. It means that a simple $500 transfer from my main bank account was counted as qualified direct deposit! Next, WM moneycard. When I applied for the first one, I was able to do that online. But now, online application is for Basic version only. So, I went to Walmart and bought a starter kit. A starter kit costs $4, and you need to make an initial load at least $20. They accept only cash or debit card for that purchase. You don’t need to give any personal information at that time. All I could find were MasterCard version. I purchased one. So, my second card would be a MasterCard version (if everything goes well.) My first one was Visa version. It may be better that it’s different from the first one. Then, I went home and tried to activate (apply for a personalized card.) My name, address, and SSN are the same. I used a different email address and a new mobile phone number (it was recognized by them.) I successfully open up a new account. A week later, I received a personalized card and then activated it. A monthly fee is $3. It’s waived if you load at least $500. Unlike GoBank, it’s not limited to direct deposit. In-store load at Walmart can waive the monthly fee as long as you load at least $500 in total. In order to keep these cards alive, I will have to use them carefully. I believe a couple of large credit cards’ bills pulled a trigger of the shutdown to my first card. So, I won’t use Bill Pay feature anymore. And reportedly, GD doesn’t like multiple loads on the same day, for example, five loads with five $200 VGCs. I won’t do that, either. I will unload the cards by regular spending. Since they are PIN-enabled debit cards, I can get cash back at a register. If a store has a self-checkout lane, it’s comfortable to do so. For example, my local WMs have ones, and they can dispense up to $100 cash back with purchase. 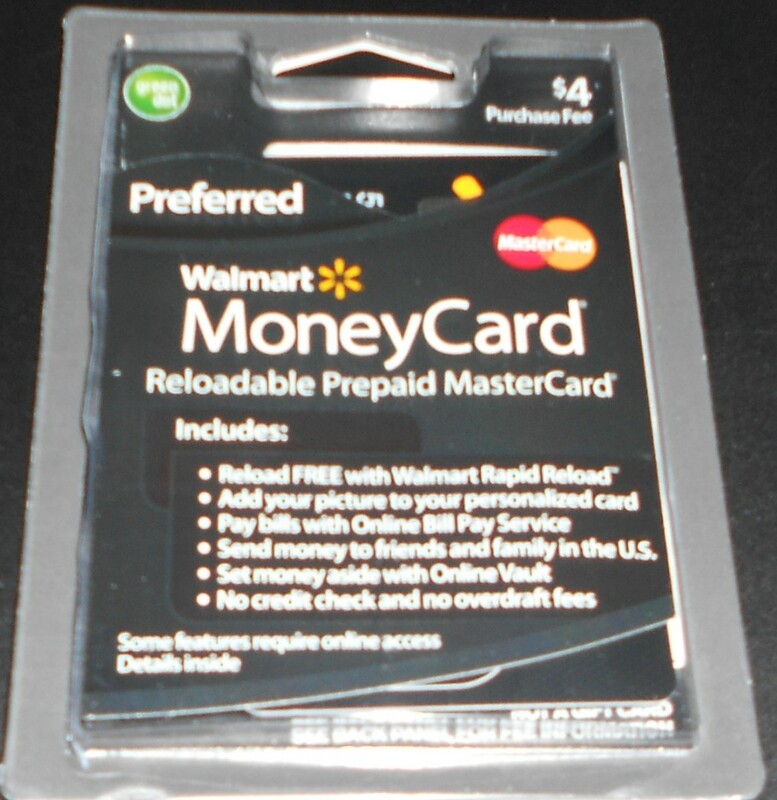 I have Walmart MoneyCard Preferred for several months, but recently it has been shut down. It happened all of a sudden. I received the following email one morning. 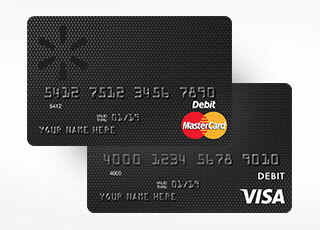 We have temporarily turned off your card and have an important update regarding your card. The day before, I set up three bill-pays for my credit cards. And I had reloaded $2400 in the previous week. I though they didn’t like the way of using the card and would give me a warning over the phone. However, it wasn’t a warning, but a shut-down. I called the number on the back of the card and followed the instructions of automated voices. I reached another automated voice message and knew that they closed my card. I can use the remaining balance by purchasing, but can’t reload anymore. I can’t pay bills, either. The pending bill pays I set up the day before was canceled. Although the email says, “We look forward to speaking with you,” I never spoke with human from the beginning to the end. 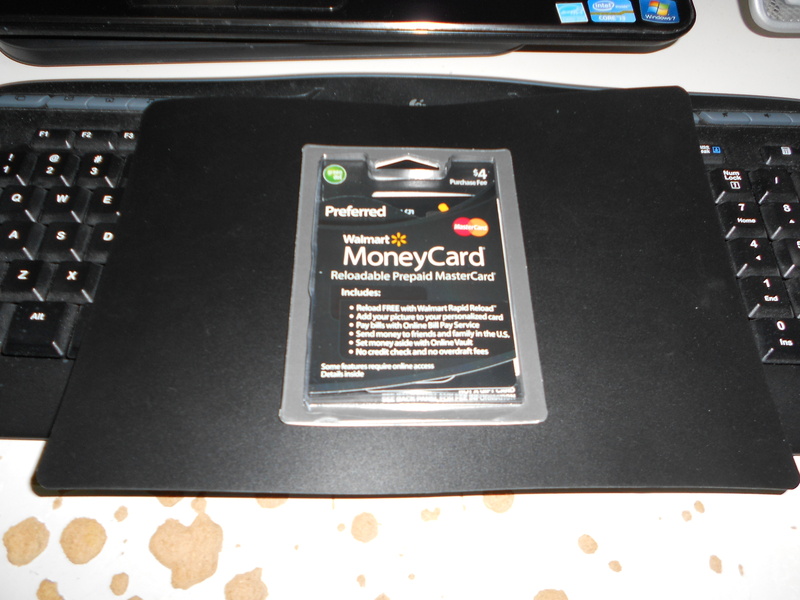 The message also said, “You are no longer able to open a new card with us.” I don’t know if “a new card” means only Walmart MoneyCard or includes all Green Dot prepaid cards, such as GoBank. 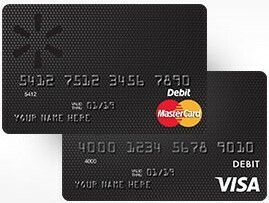 GoBank is the same type of prepaid card (Visa or MasterCard prepaid debit card which is reloadable with gift cards at Walmart for free.) I plan to apply for it, but not so soon. By using self-cashiers, you don’t feel awkward when you ask a large amount of cash back with a small purchase. For those who have or plan to have Green Dot prepaid cards for manufactured spending, be careful how to use it. Reload moderately. If it has bill pay feature, use it moderately. You can unload the cards mainly by purchases with cash back at registers.